Kell Brook may have lost to Gennady Golovkin this past Saturday but that has not seemed to have been detriment to his future options. Where he goes from here is anybody’s guess, but if there is one thing for certain it is that the British public are eager to see him back in the ring again once his eye injury has healed. Even our American cousins across the pond have stood up and taken notice of the Sheffield boxer! It just goes to prove that all it takes is one fight to sway public opinion, and despite the loss of his unbeaten record Kell Brook looks like he has a bright future still ahead of him! Gennady Golovkin is reportedly in negotiations with Daniel Jacobs for a mega fight of the big hitters that would pit champion against champion. But the main interest right now is being directed toward Brook. Who could be next in his immediate future? Let’s take a look. 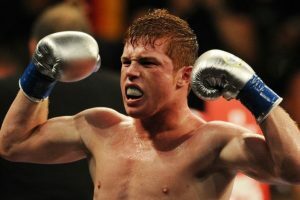 The man nicknamed Canelo will be facing WBO light-middleweight champion, Liam Smith in what should be a formality win. Brook will most likely not be returning until next year at some point which gives the two boxers plenty of time to reach a deal. Brook has expressed interest in moving down a weight as he stated that the middleweight division may just be a tad too strong for him. Alvarez isn’t looking likely to be facing Golovkin any time soon and there is a chance that he could view the Englishman as another big pay day for a moderate risk. 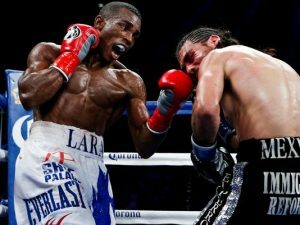 Lara is athletic and skillful, a nightmare for any boxer. He lost by a controversial decision against Alvarez in 2014 but has bounced back with four wins on the trot, capturing the WBA title beating Ishe Smith in the process. This would be another chance to grab a title at 154lb but may not make for a visually great fight since both fighters rely on athleticism and pure skill, something that generally does not appeal to the masses. Also, it would be a dangerous fight for both boxers even if Brook and Lara would not hesitate to fight each other. 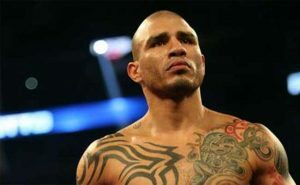 Cotto is looking to be fighting Lamont Peterson in a comeback bout for both. Cotto has not fought since losing to Canelo Alvarez while Peterson has one win since losing to Danny Garcia last year. Providing Cotto gets past Peterson then this would be a contest that would be both appealing and make a ton of money due to the Puerto Rican’s huge home fan base. There is no doubt that Brook has also made some new fans after the Golovkin fight. 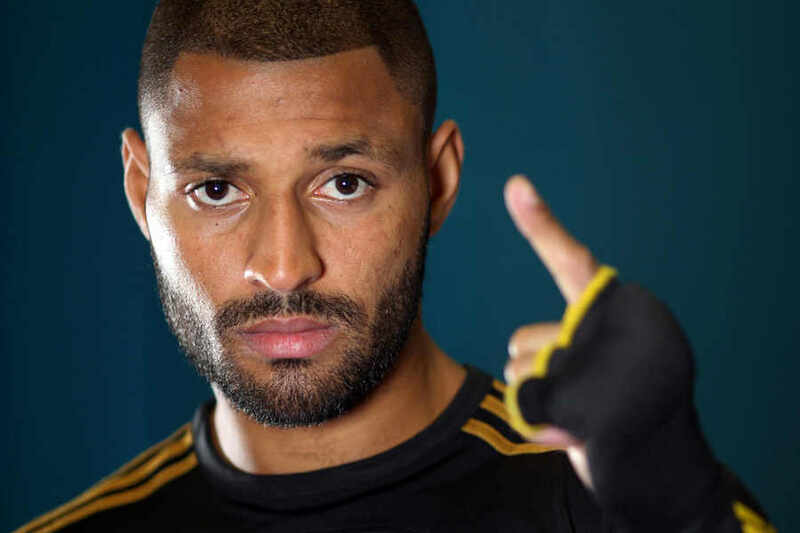 It isn’t looking likely that Kell Brook will be heading back down to welterweight again, but stranger things have happened in boxing. If he did then a unification of the WBA and IBF belts together with Thurman’s slugging style would make for an appealing match. 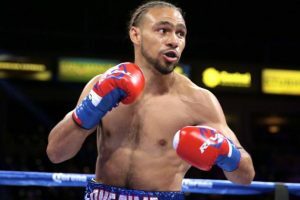 Practically every boxer in the welterweight division is looking to tempt Floyd Mayweather out of retirement for a huge pay day, but both Thurman and Brook have the ability to generate a lucrative deal. 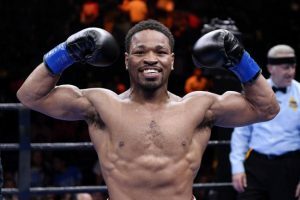 He lost the Thurman battle but his courageous display will no doubt net him another world title opportunity soon, and just like going up against One Time, the fight would force both Brook and Porter to dig deep to pull out a victory. Nobody would be afforded the opportunity to blink as it can be envisioned that the majority of rounds would be a treat for most! 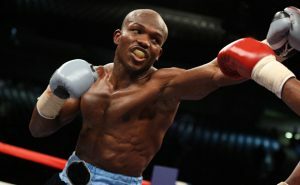 Despite not having a crowd pleasing style of boxing, Bradley should be admired for having faced almost the best in his career thus far. A Brook vs Bradley bout would more than likely be one for the student of the “Sweet Science.” This is one of the least likely bouts to be arranged any time soon seeing as Special K will be looking to make more money than ever after his performance against Golovkin. A Kell Brook vs Amir Khan fight has been chugging in the hype machine for over five years now, but with both having lost their respective fights might it finally be a logical time for them to get it on? 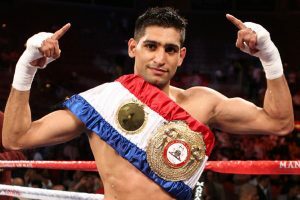 Khan is mandatory for Danny Garcia’s WBC belt, a rematch that may happen early next year. If Brook does not step back down to welterweight then this may result in difficulties in agreeing to a suitable weight. Of course, that is why catchweights exist. Eddie Hearn has said he has no problem working with any other promoter in the world, but would Bob Arum? Historically speaking, one would think he does not feel the same way. If Hearn did pull off the nearly impossible then it would be a bout that would be high reward for both. 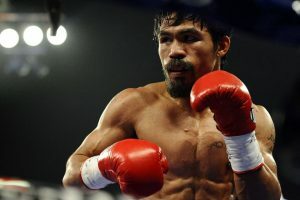 If Pacquiao won then he would have another title in his possession and the reputation for beating somebody that was at a high point in his career. If Brook won then that would put him in line to be considered one of the elite welterweights.